I first noticed his talent when went to one of his concerts. He was great and so were the other four. Then when his ipakita Austin and Ally was released on Disney channel i noticed that was when i thought since he is the best singer, dancer, and actor i have been wanting to meet his in person this time. 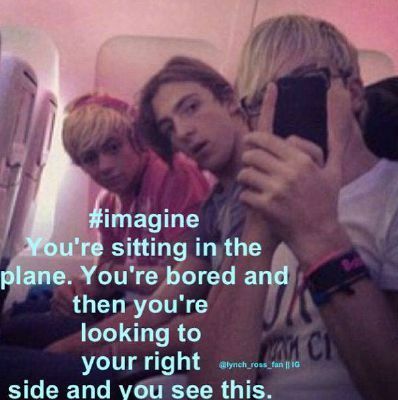 I also thin that Ross Lynch and the gang would be the best person to hang around if you ever meet him. R5 is the best band out there in the world. they make the best music i have ever heard they ROCK. I pag-ibig Ross but I am also his biggest tagahanga and I know everyone else is too. Ross inspired me soooooo much I can't never hear his voice. He built my dream of being a really good singer, dancer, and actor. I always wanted to meet Ross but I know it will never happen cause to everyone I am a nobody so I write this to say he is the best and well always live in my heart. pag-ibig you Ross! I also wanna say if I got to meet Ross in real life I will be really grateful and never forgetting that memory so Ross if u r out there and your pagbaba this I will be the happiest person in the world. On a magazine he sinabi I'd rather find true pag-ibig than have a million dollars awww soooooo sweet !!!! And HOT (^o^). Dez- is a kid i know and me ally i pag-ibig Pagsulat song but i'm super shy and i hope to over co e my fear like ally.#go3? Ross Lynch first caught our eye in Austin and Ally, and he's making fans pag-ibig him even madami in the Disney Channel's movie, Teen tabing-dagat Movie. Since he has so many female fans vying for his attention, we were shocked when he admitted a secret: He has never asked a girl out!